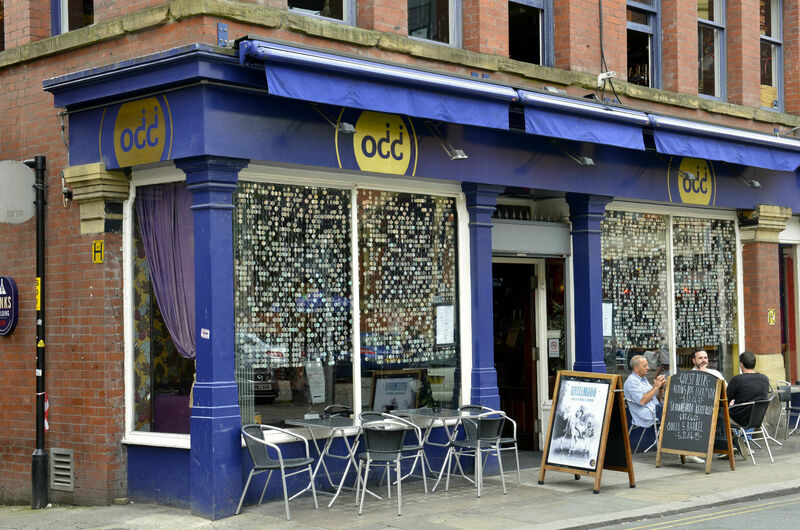 From trendy bars to galleries and some of the best restaurants in the city, Manchester's creative quarter is one of its biggest draws. 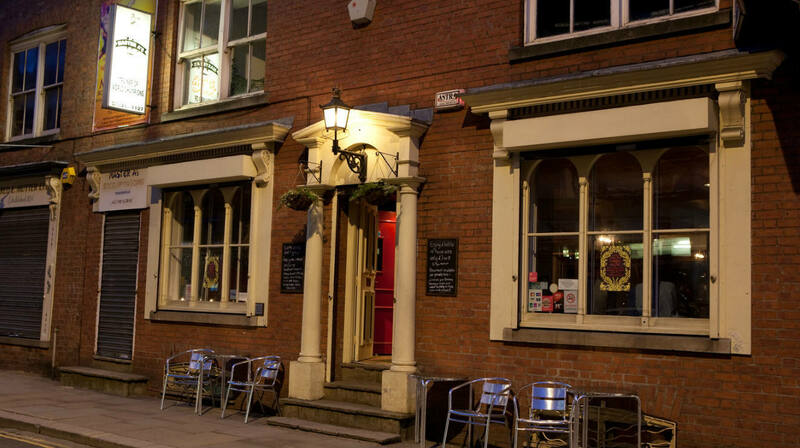 If you don't know it, though, the Northern Quarter is one of those places that can be tricky to traverse. 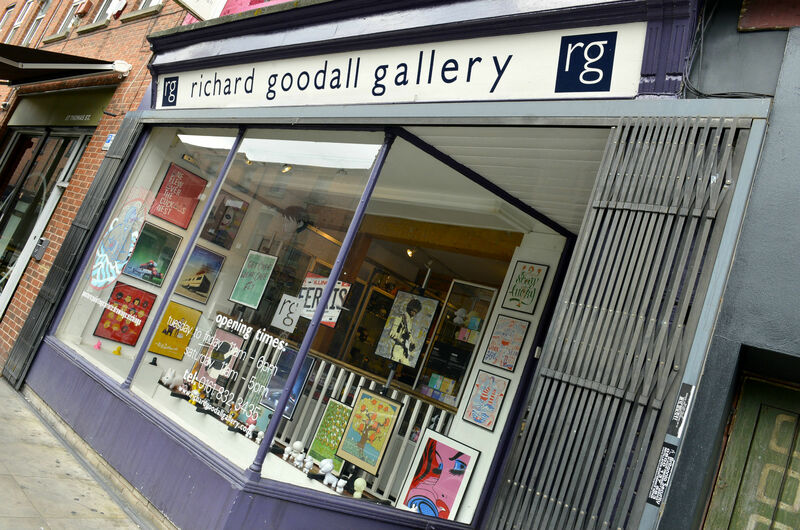 So take a look at our area guide and colour yourself acquainted. 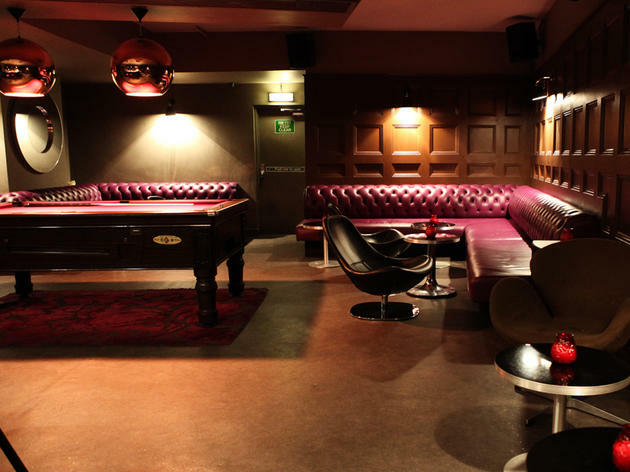 The Northern Quarter is home to many a decent cocktail joint, but few do things as well as Apotheca. 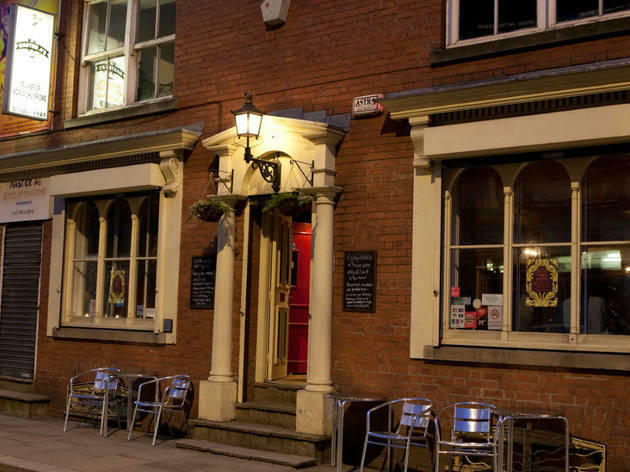 Taking its name from the former apothecary it now calls home, the bar acts as a modern-day chemist to Manchester, with remedial pick-me-ups its forte. 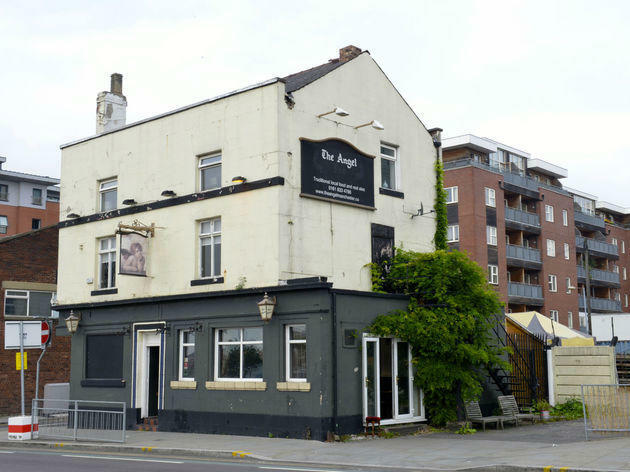 Head down Rochdale Road, past The Angel, take a left at The Marble Arch and you’ll happen across the diminutive brewery of Blackjack Beers. 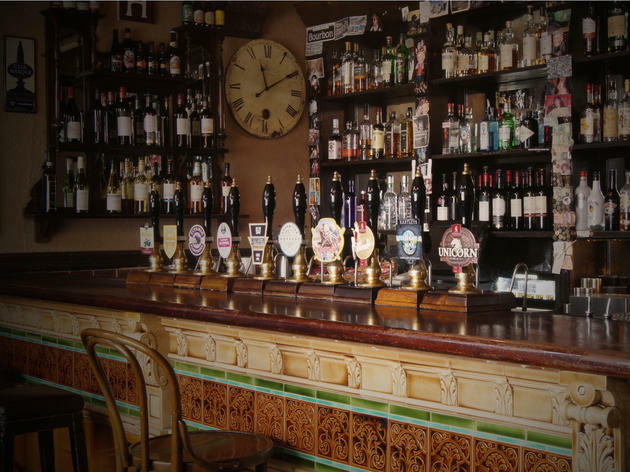 Founded in 2012 by Rob Hamilton (an alumnus of Manchester indie beer pioneers Marble), Blackjack has grown from a small operation to one of the foremost craft beer suppliers in the area, with a portfolio of over 40 cask ales. 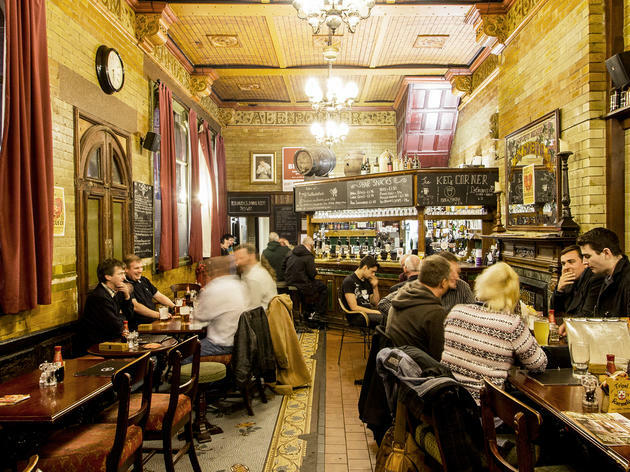 If you were putting together a dream pub in your booze-fuelled mind you’d be hard pushed to come up with a more perfect construction than the Marble Arch. 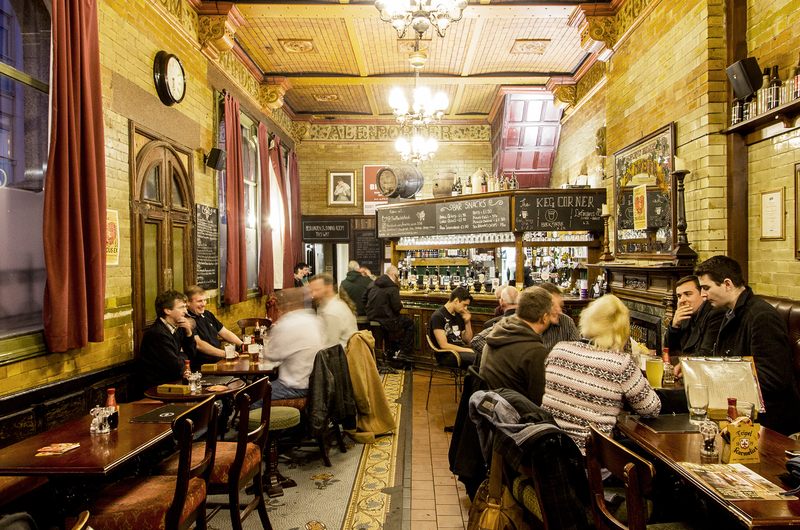 Enjoy beautiful tiled walls and floors dating back to the heyday of pub architecture whilst you explore one of the city’s leading selections of ales, lagers and liquors, and food that goes far beyond regular pub grub. 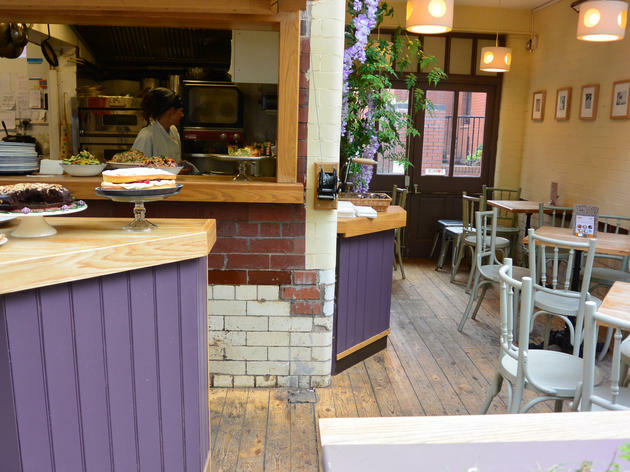 Taking the best of what the Northern Quarter has to offer - good eating, good drinking and creativity - Ply pulls all of them together in one very attractive place. Brought to you by the folks behind Almost Famous is this contemporary Tex-Mex restaurant. 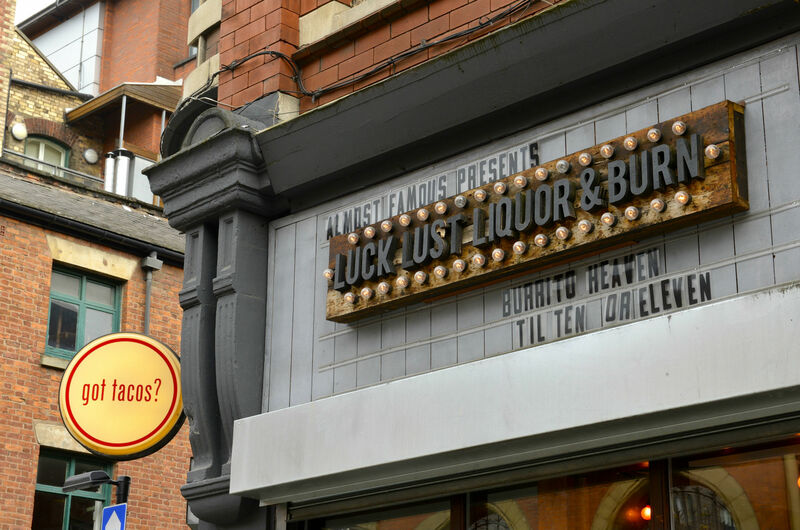 Located in Manchester’s Northern Quarter, this is Manchester’s premier spot for beer, tacos, burgers, burritos, beer, steaks, chilli, cocktails, fries, sides, desserts and even more beer. It's not just the menu that’s inspired by a road trip from Vegas to Mexico – the interior is, too. 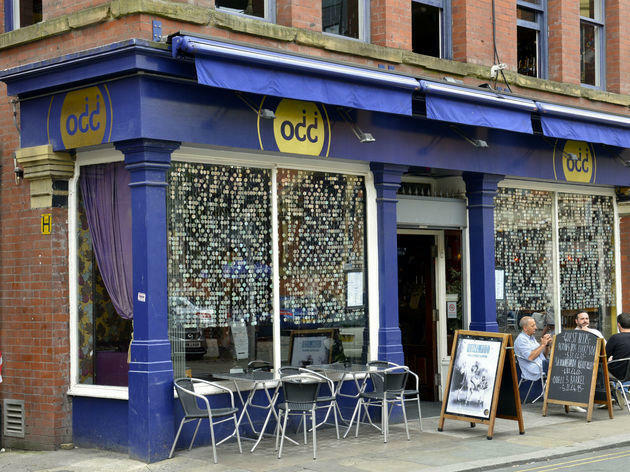 When Odd first opened its doors back when the Northern Quarter was only a baby, it was among maybe five or six other bars in the area all offering something a little different. Odd, as you may imagine from the name, offered a strange assortment of trinkets, furniture, drinks and staff as it strove to stand out from the small crowd. 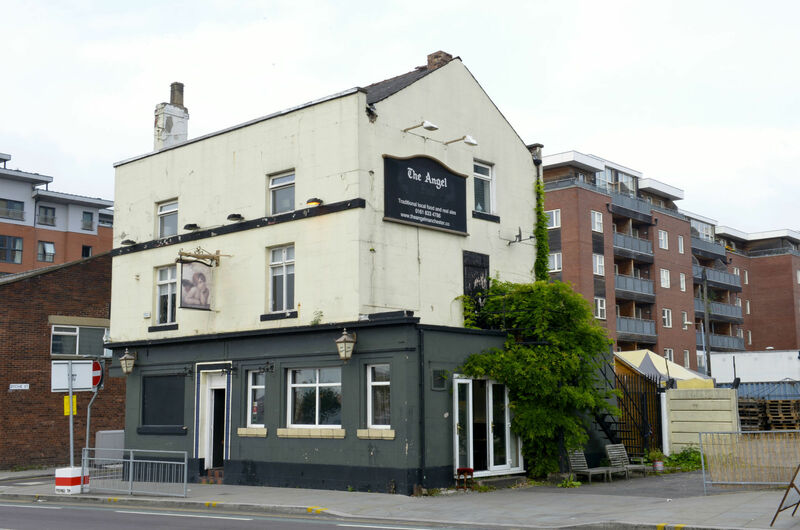 The Angel is a local pub on the outskirts of the Northern Quarter serving a fine range of well-priced, locally brewed bitters. 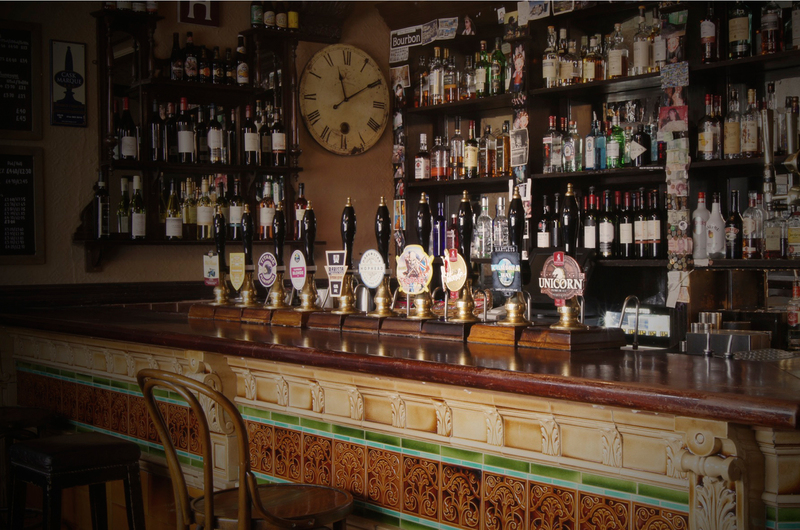 Liverpool Organic Brewery and White Lion can usually be found on the pumps, and on-tap lagers go beyond the usual mass-produced swill. 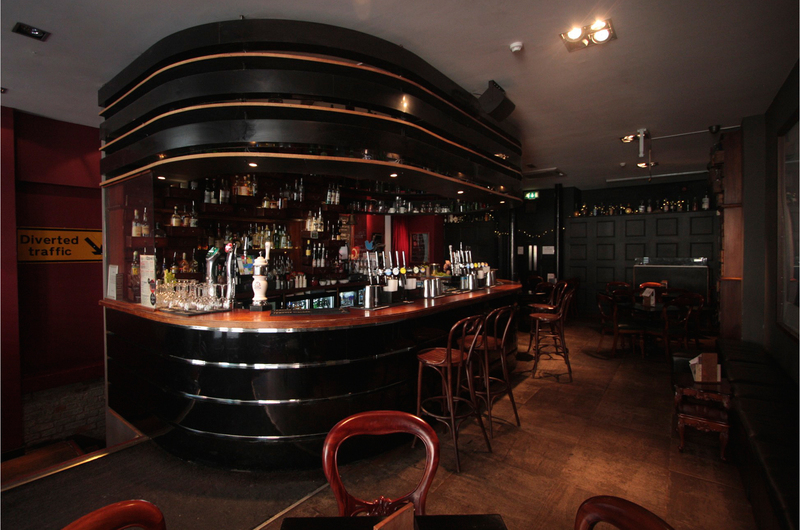 Wooden floors, a log fire and a piano in the corner give the place an old-fashioned feel. 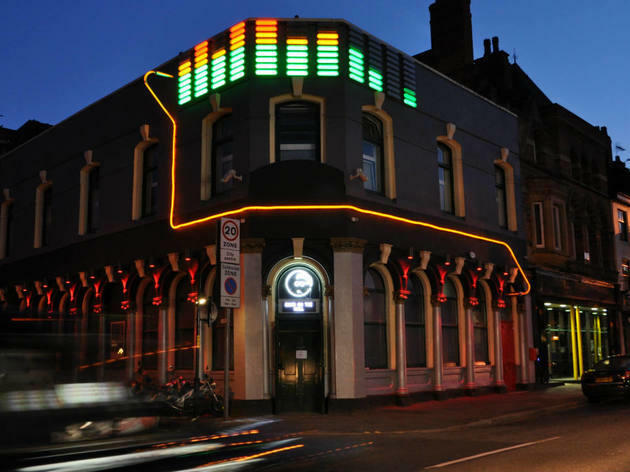 One of Manchester’s most popular pubs, The Castle on Oldham Street has proven to be one of the Northern Quarter’s big success stories since its refurbishment in 2009. 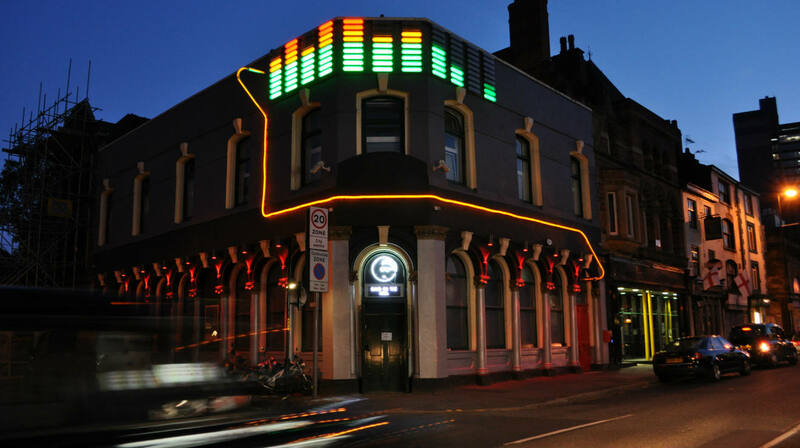 Originally founded in 1776, it’s well known in indie rock circles as the site of a legendary interview between John Peel and Ian Curtis in 1979, and today pays heed to its musical heritage with several weekly gigs at its own charming music hall. Even the ales are indebted to music. If there’s a pub with a better ceiling in anywhere in the world, we haven’t been to it. 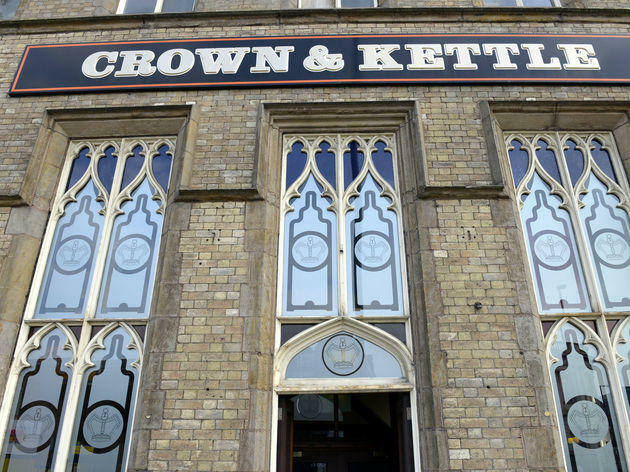 The rest of the building isn’t bad, either; it’s Grade II listed and dates back to the early nineteenth century. 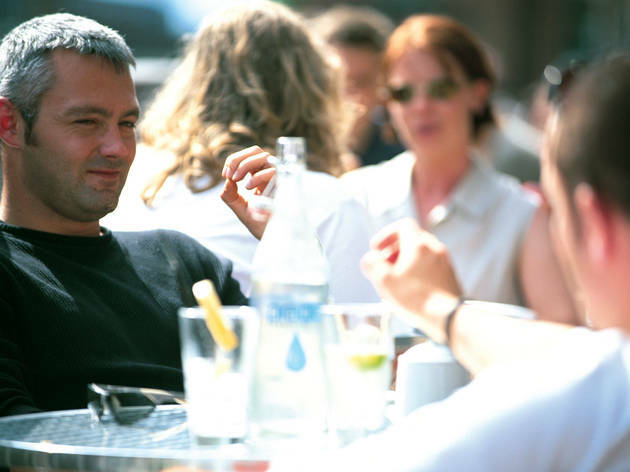 But then you don’t go to a pub to stare up the entire time – you’d struggle to order a drink, for one. 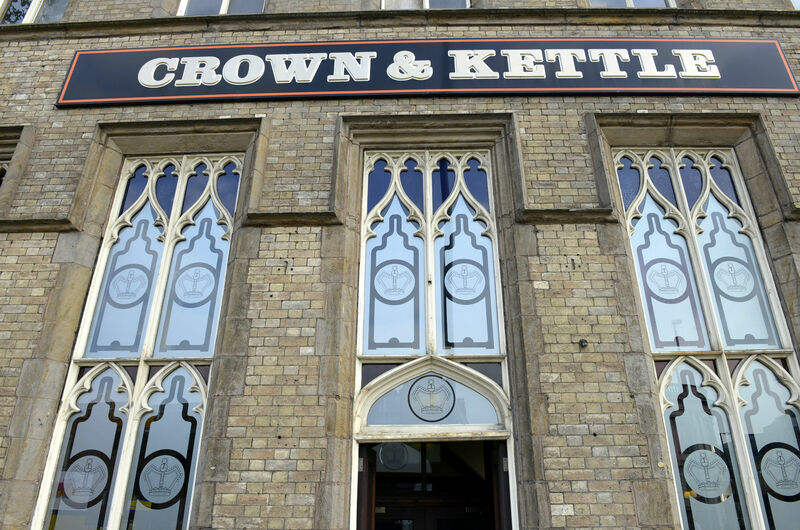 Situated just on the cusp of the Northern Quarter, the Crown and Kettle is a neat hybrid of hipster scene pub and good-and-proper local. From the original Georgian exterior you could be mistaken for thinking that this pub will be a dark and dank old thing, but you'd be very wrong. 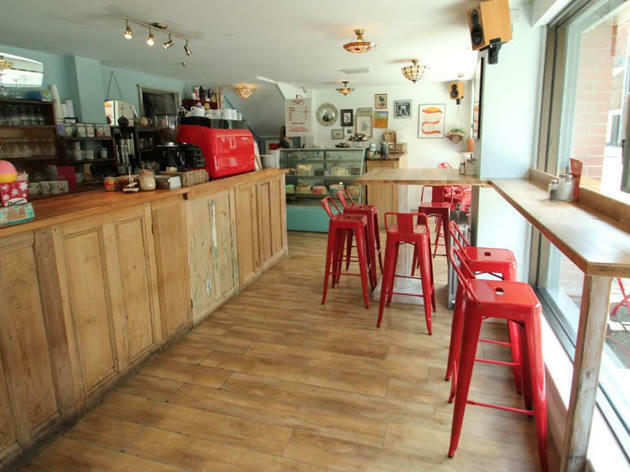 With a lively, contemporary feel – colourful sofas, big art work – this welcoming and friendly pub offers a lot more than just a decent selection of drinks and food with a homemade touch (the pies are delicious). 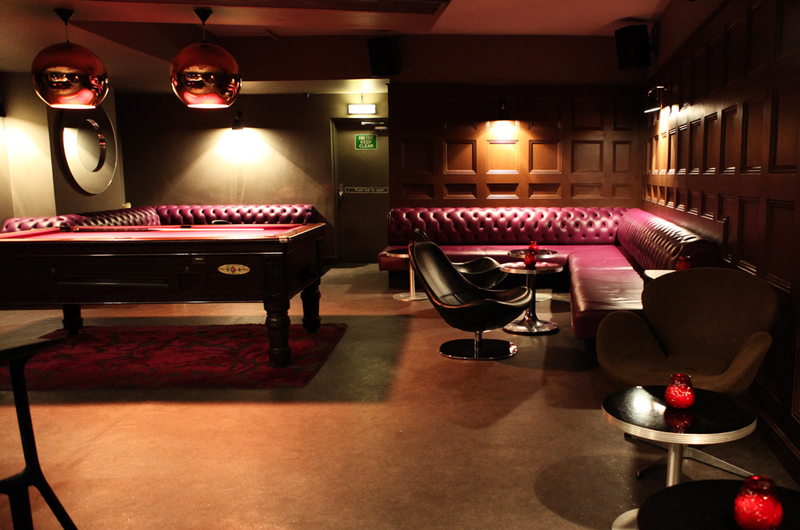 Once the plethora of bars and pubs around the Northern Quarter have kicked out, there’s only one place to go. For good or ill, that place is Blackdog Ballroom. 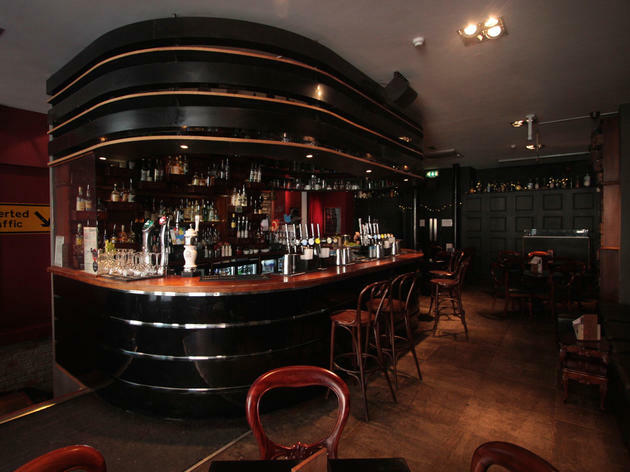 Open until 4am on school nights and even later on the weekend, this is the place for that ‘one more drink’ you definitely don’t need but crave so desperately. 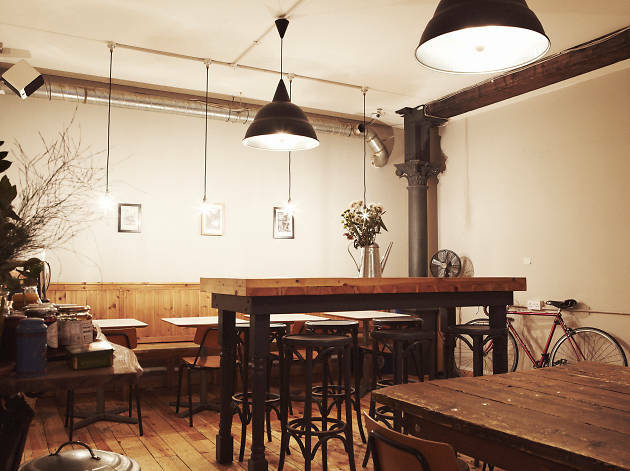 Located in Manchester's creative core, the Northern Quarter, Home Sweet Home is decked out in the familiar quaint wooden furniture and lovely bric-a-brac that so defines neighbourly establishments. 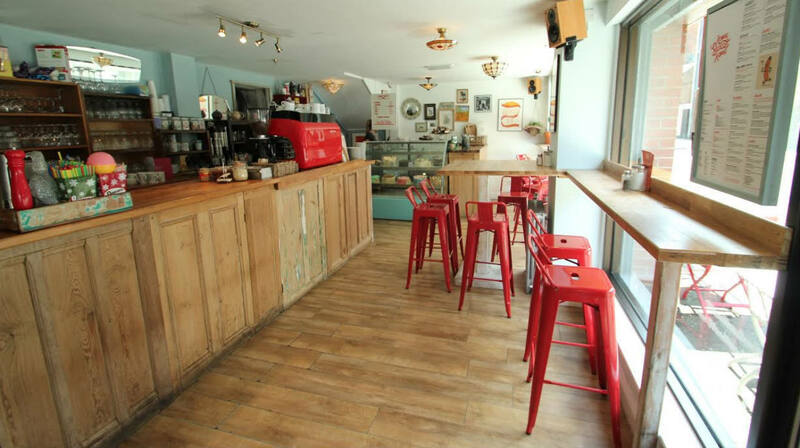 The staff are so painfully friendly that you’ll want to pull up a chair as an invitation. 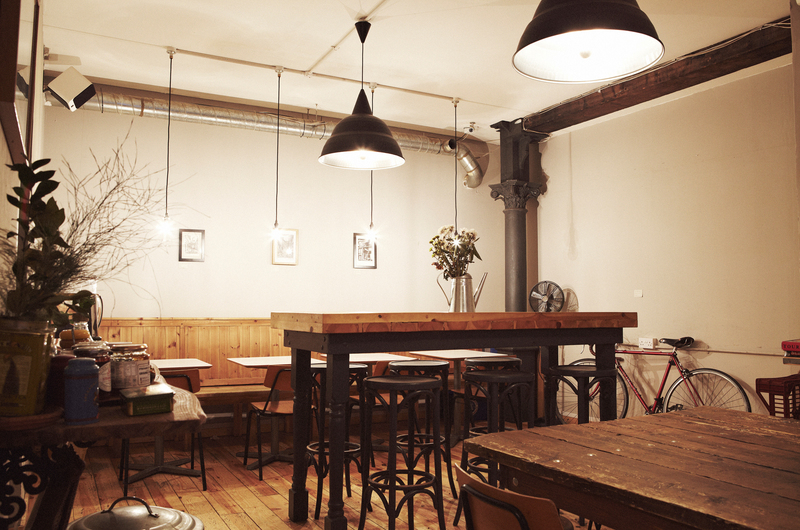 Located within Manchester’s Craft and Design Centre (a hub where creatives sell handmade products), this café’s existence is only hinted at by an unassuming board sitting outside, but the mystery it beholds is sufficient to knock you off your feet. Aside from the staples of soups, toasties, quiches, frittatas, salads and stews, chef Liz Kine’s specials change daily depending on what local produce she sources that day, supporting local businesses such as Unicorn (a co-operative grocery), Barbakan Deli and Marble Beers. Like the personal sampling room Willy Wonka forgot to build, chocolate haven Bonbon has very quickly been taken under the Northern Quarter’s wing. 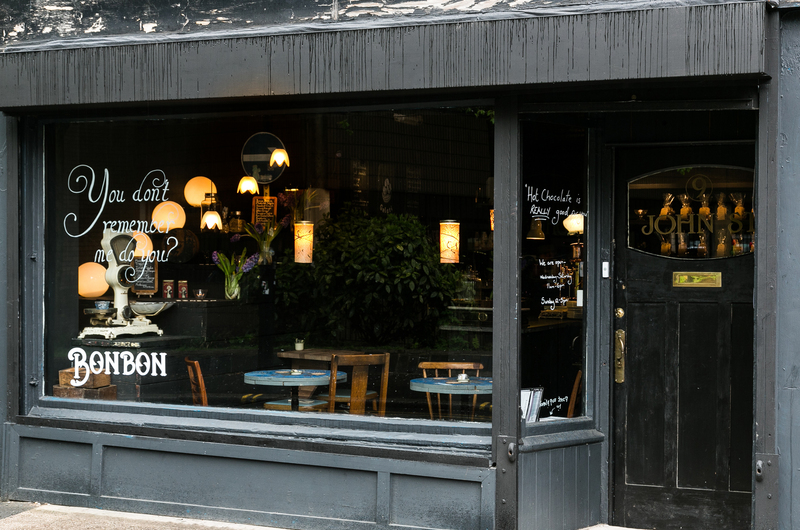 Serving up a heady mix of chocolates, coffee and luxury, Bonbon is a joint venture between Teacup (located just down the street) and Joey Collins of Troffel, who have given the place a boutique feel with dark wooden furniture and curious paper bag lamps. 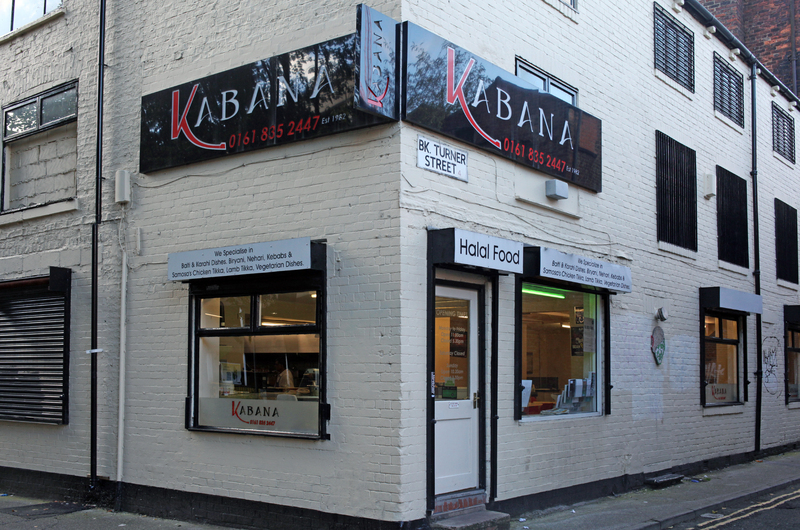 Eating at Kabana is a euphoric experience. Specifically, eating Kabana's nehari stew on a Sunday lunchtime after a late Saturday is a euphoric experience, but we'll get to that later. 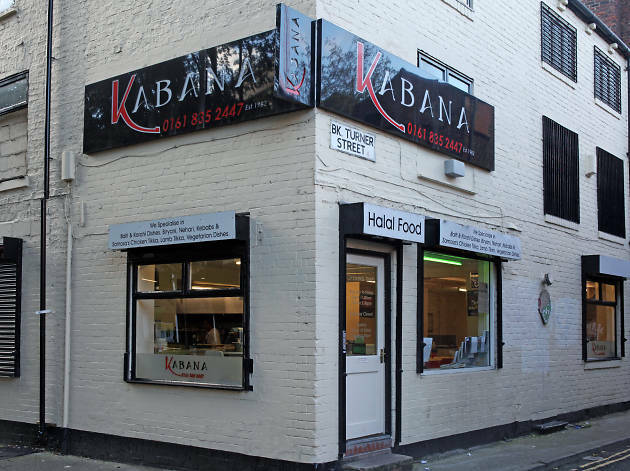 Stepping inside, Kabana's interior is similar to many of the Northern Quarter's 'rice and three' establishments, with canteen-style seating and walls covered in framed pictures of footballers. Brought to you by the folks behind Almost Famous is this contemporary Tex-Mex restaurant. 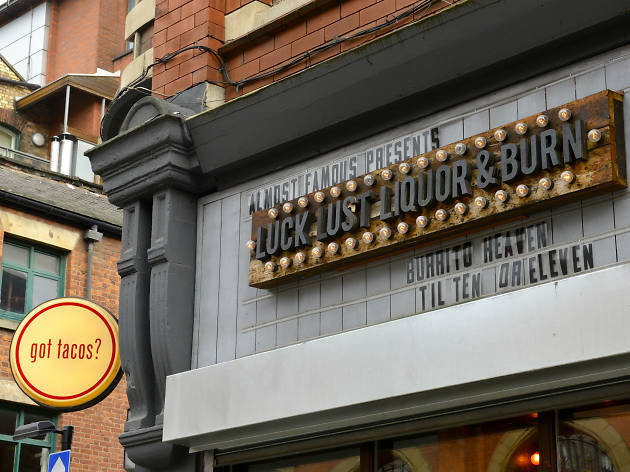 Located in Manchester’s Northern Quarter, this is Manchester’s premier spot for beer, tacos, burgers, burritos, beer, steaks, chilli, cocktails, fries, sides, desserts and even more beer. It's not just the menu that’s inspired by a road trip from Vegas to Mexico – the interior is, too. From neon wall lights, bold artwork and mini cacti to tacos served on Californian licence plates, the Cali-fusion is deployed anything but subtly. 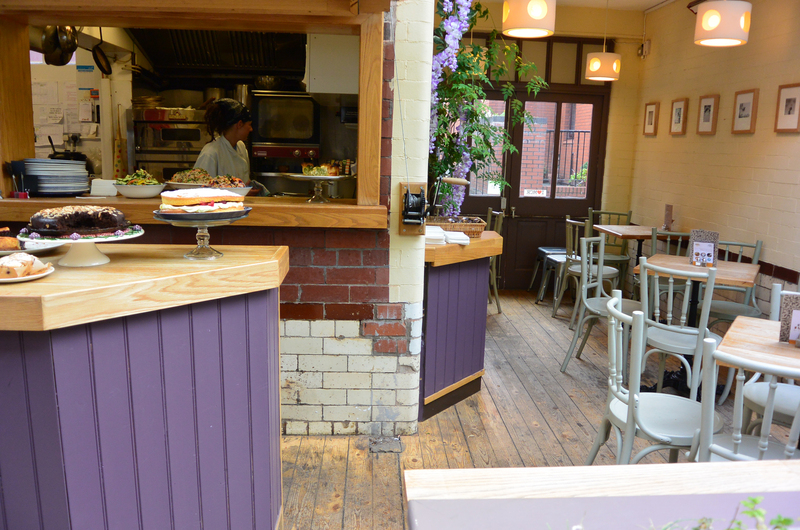 Located in the thick of the Northern Quarter’s creative boom, North Tea Power brings together casual chic with a raucous attitude to both food and drink. 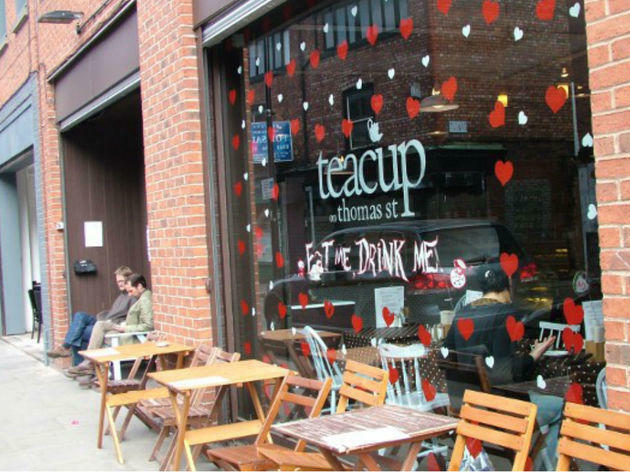 As you might expect, there’s an intimidating array of loose-leaf teas, with an illuminating coffee menu stacked with guest espressos and seasonal offerings, like Deerhunter’s Ethiopian and Costa Rican blend, which is a steal at £2-£3. 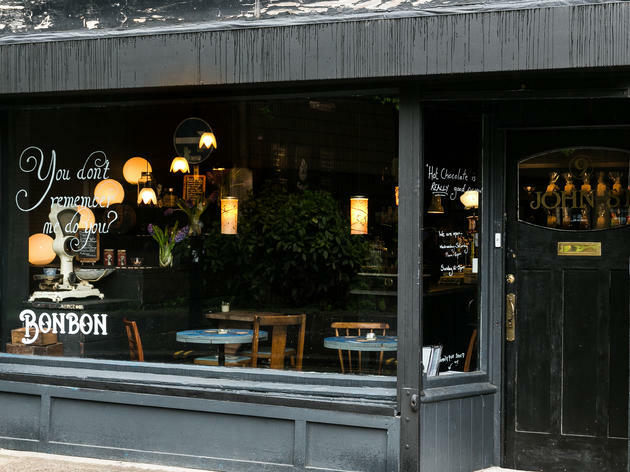 Manchester's Northern Quarter isn't short on quirk, both in its venues and those who frequent them, but Sugar Junction's attention to detail has to be applauded. Antique furniture and delicate ornaments surprise from every corner; the perimeters of old-timey wallpaper and exposed brickwork encasing you in a bygone era. Afternoon tea is what they do best, with an impressive collection of custom loose-leaf tea blends (25 of them) including combinations you never thought existed. 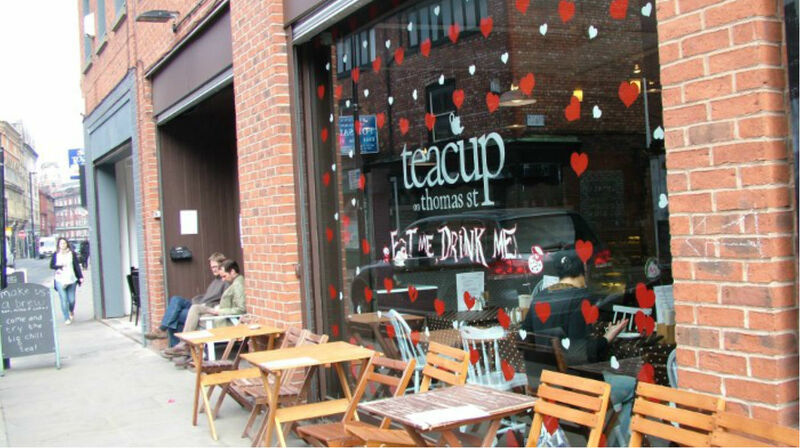 Established by Manchester's very own Mr Scruff, whose love of tea is as strong as his love of music (if not stronger), Teacup is a place where you’ll not only find all manner of tea varieties, but an extensive cake menu, cocktails, wines and beers, plus a full lunch and evening meal menu, too. 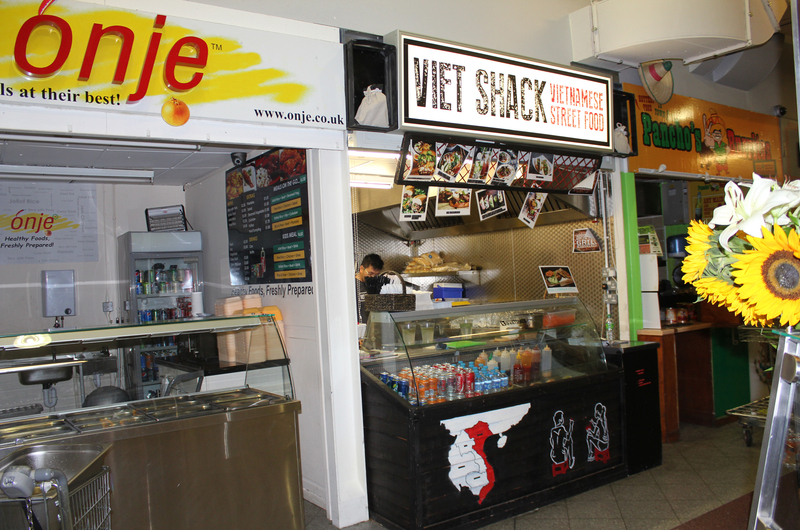 The latest addition to Arndale's food market, Viet Shack has caused quite a stir, offering self-styled Vietnamese street food with a modern twist. 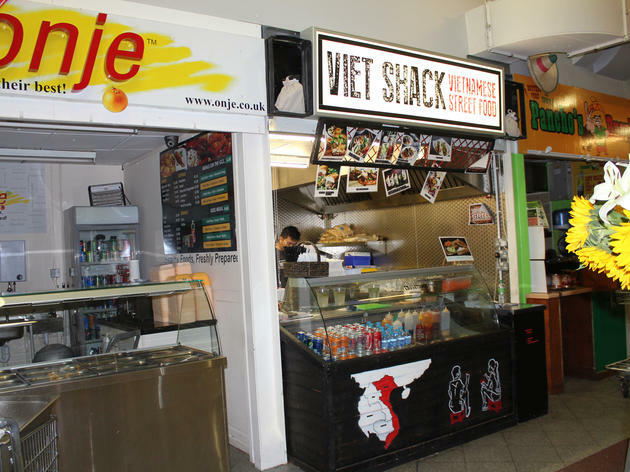 With counter service and seating shared with the rest of the market's customers, it's set up perfectly for a quick, cheap lunch. That said, this isn't food that you'll necessarily want to rush. 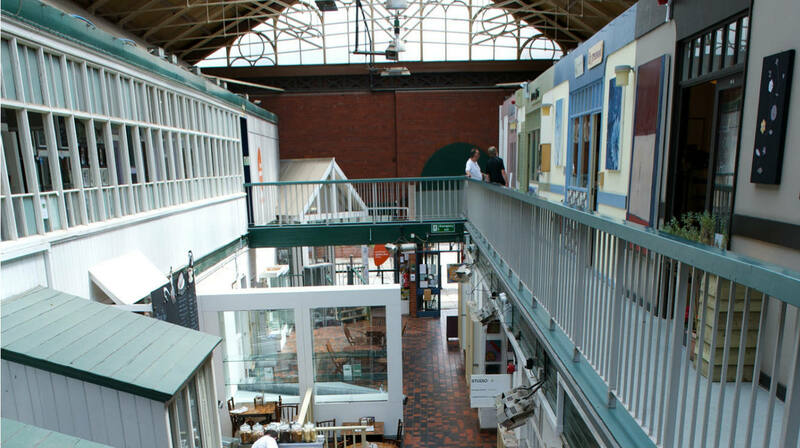 Awarded 'Best Independent Retailer' at the 2013 Manchester Tourism Awards, Manchester Craft & Design Centre boasts over 30 artists, designers and craft makers under one roof. 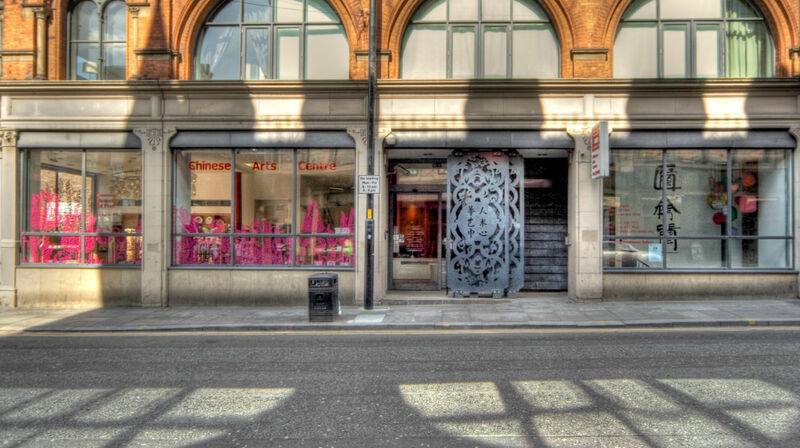 MCDC lies in the heart of the Northern Quarter, offering an impressive array of quality goods that you won't find on the high street – handmade, bespoke and personal. Band on the Wall represents a real musical success story for the city of Manchester. 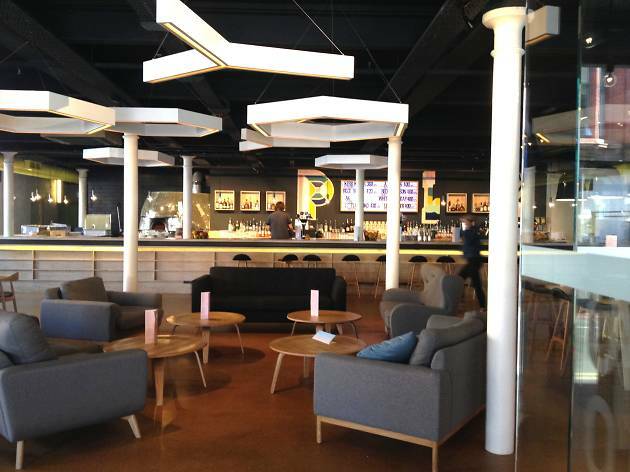 Funded by both the National Lottery Heritage Fund and the Arts Council, the £4 million venue opened in 2009 after years in disarray; like many previously abandoned tenancies in the city, it has a rich history intertwined with the textile industry, but has always been a fertile ground for live music. 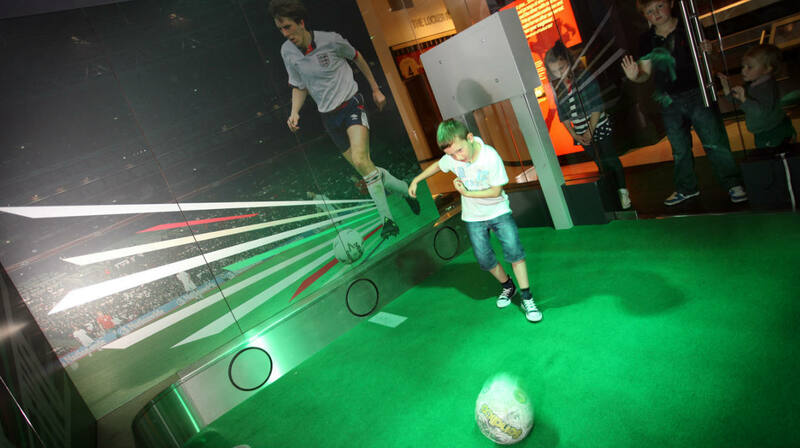 Housed inside one of the most impressive of Manchester City Centre's modern buildings, the former URBIS museum, this four-floor monument to football boasts that it contains the greatest football collection in the world. 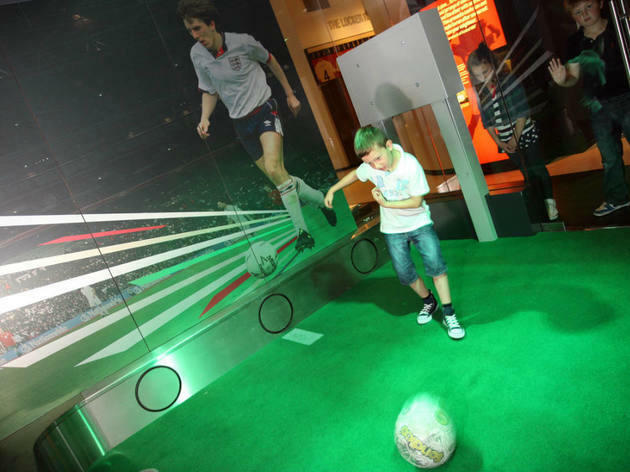 It’s the permanent home to the FIFA collection, the Football League collection, the FA collection and many more, and it works towards the preservation and conservation of such memorabilia. You wait for one decent contemporary gallery to come along and then two come at once. Typical. 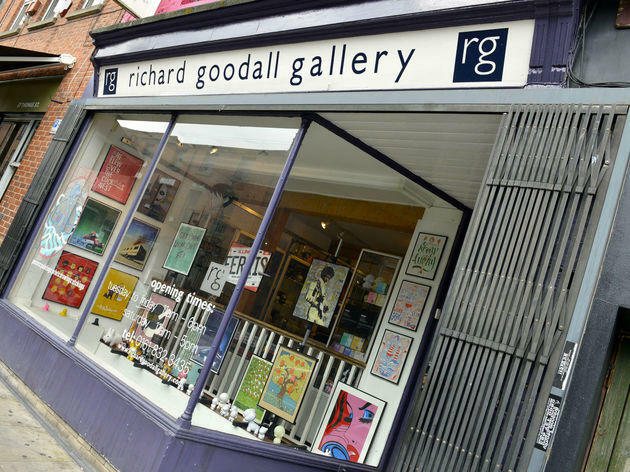 Spread over two sites - High Street and Thomas Street – Richard Goodall Gallery offers contemporary exhibitions by new and established artists, as well as a gallery/shop where you can buy limited edition prints, music and movie posters, vinyl toys and figurines. 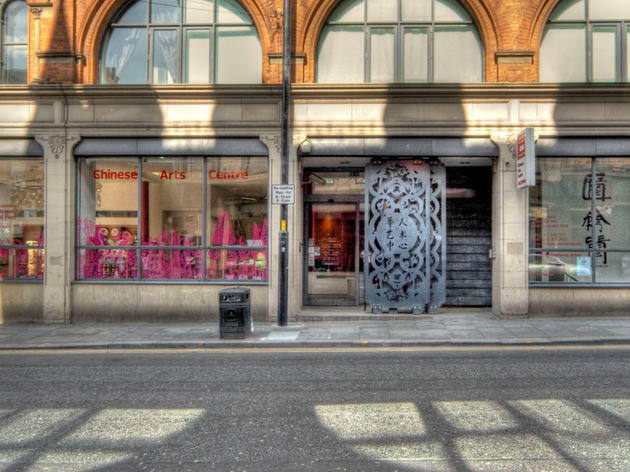 Formally known as the Chinese Arts Centre, the Centre For Chinese Contemporary Art works to bring Chinese art and visual culture to a UK audience. 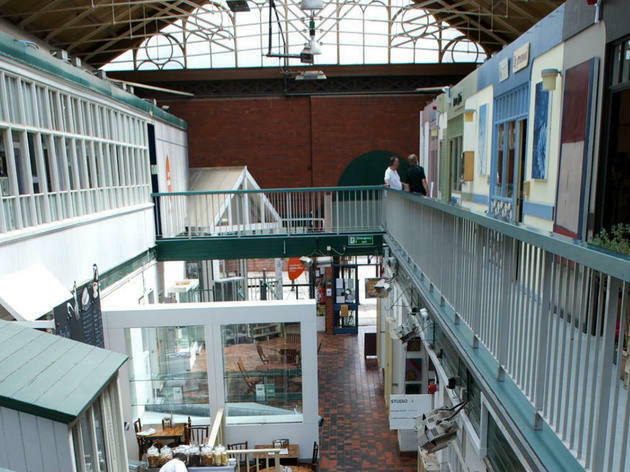 Working with a four-strong team of associate curators based in East Asia - each specialising in a particular strand of the centre's artistic programme - this Northern Quarter building brings exhibitions, artists in residence, engagement projects, festivals, talks and events.